The history of Māori travel and engagement with the outside world is a remarkable one. 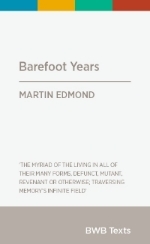 It is explored in a new work to be released as part of the BWB Texts series in March 2015. Here is some information on the work from the publisher's website. The Māori monarch and his entourage found sympathetic ears in the British press and public. Newspapers published tips on correct pronunciation of his name, explained his illustrious lineage and the troubled history of war and confiscation suffered by the Waikato tribes and printed sketches of the party. Socially, too, they were in high demand. London’s bobbies found it impossible to control crowds gathered to witness some of the party’s early outings. From the late eighteenth century, Māori travellers spread out from New Zealand to Australia, Britain and the world. Most travellers eventually returned home, bringing something of their own ‘new world’ experiences with them. 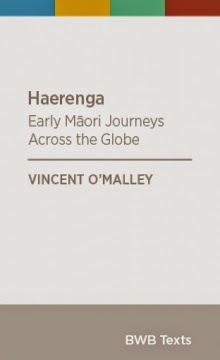 This book is a series of vignettes of this history of Māori travel and exploration, providing fresh light on a little known yet absorbing aspect of early New Zealand. Our speaker is Vincent O'Malley, who will speak on 'The Waikato War in Public Memory'. 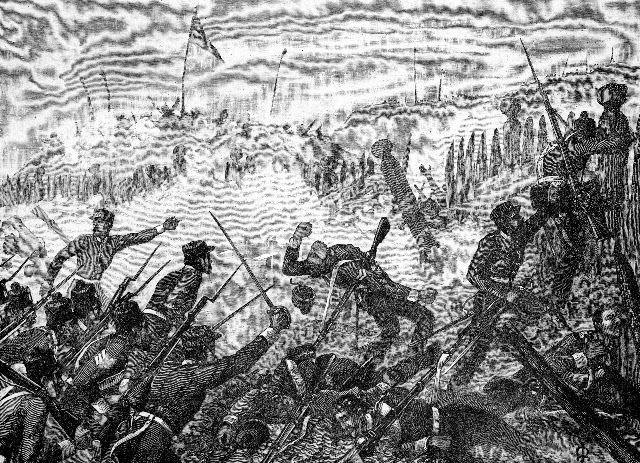 The Waikato War was a decisive turning point in New Zealand history. Yet the recent 150th anniversary passed by most New Zealanders largely unnoticed. That stands in contrast to earlier anniversaries of the same war and more especially to the current World War One centenary. This talk examines how and why the Waikato conflict has been remembered (or forgotten) historically and asks what that says about its place in current public memory. The rangatira who signed te Tiriti o Waitangi in February 1840 did not cede sovereignty to the British Crown, the Waitangi Tribunal has concluded. The Tribunal today released its report on stage 1 of its inquiry into Te Paparahi o te Raki (the great land of the north) Treaty claims. The report concerns the ‘meaning and effect’ of the Treaty in February 1840, when the first signings of te Tiriti took place in the Bay of Islands and the Hokianga. Stage 2 of the inquiry, which is under way, will consider events after February 1840. ‘Though Britain went into the treaty negotiation intending to acquire sovereignty, and therefore the power to make and enforce law over both Māori and Pākehā, it did not explain this to the rangatira’, the Tribunal said. Rather, Britain’s representative William Hobson and his agents explained the Treaty as granting Britain ‘the power to control British subjects and thereby to protect Māori’, while rangatira were told that they would retain their ‘tino rangatiratanga’, their independence and full chiefly authority. The rangatira did, however, agree ‘to share power and authority with Britain’. ‘They agreed to the Governor having authority to control British subjects in New Zealand, and thereby keep the peace and protect Māori interests’, the Tribunal said. The Tribunal said that, having considered all of the evidence available to it, the conclusion that Māori did not cede sovereignty in February 1840 was inescapable. The Tribunal said nothing about how and when the Crown acquired the sovereignty that it exercises today. However, it said, the Crown ‘did not acquire that sovereignty through an informed cession by the rangatira who signed te Tiriti at Waitangi, Waimate, and Mangungu’. The question of whether the agreement that was reached in February 1840 was honoured in subsequent interactions between the Crown and Māori will be considered during stage 2 of the inquiry. Auckland University of Technology Professor Paul Moon – who is a Treaty specialist – has criticised the Waitangi Tribunal’s Inquiry into issues of Maori sovereignty, which has been released today, claiming it got basic aspects about the Treaty’s history wrong. Moon's comments were widely reported, on Stuff, for example, and the New Zealand Herald website. Neither media organisation seemed to consider it important to sound out the views of other Treaty experts, highlighting once again the basic historical illiteracy of much of the New Zealand media. Her Majesty’s Government have resolved to authorize you to treat with the Aborigines of New Zealand for the recognition of Her Majesty’s sovereign authority over the whole or any parts of those islands which they may be willing to place under Her Majesty’s dominion. (GBPP, 1840 , p.38). until they can be brought within the pale of civilized life, and trained to the adoption of its habits, they must be carefully defended in the observance of their own customs, so far as these are compatible with the universal maxims of humanity. (GBPP, 1840 , p.39). That final qualification was crucial, and Hobson was further instructed that 'the savage practices of human sacrifice, and of cannibalism, must be promptly and decisively interdicted'. I have received a Letter from Mr. Busby, enclosing a Copy of a Declaration made by the Chiefs of the Northern Parts of New Zealand, setting forth the Independence of their Country, and declaring the Union of their respective Tribes into One State, under the Designation of the Tribes of New Zealand. I perceive that the Chiefs, at the same Time, came to the Resolution to send a Copy of their Declaration to His Majesty, to thank Him for His Acknowledgement of their Flag; and to entreat that, in return for the Friendship and Protection which they have shown and are prepared to show to such British Subjects as have settled in their Country, or resorted to its Shores for the Purposes of Trade, His Majesty will continue to be the Parent of their infant State, and its Protector from all attempts on its Independence. With reference to the Desire which the Chiefs have expressed on this Occasion to maintain a good Understanding with His Majesty’s Subjects, it will be proper that they should be assured, in His Majesty’s Name, that He will not fail to avail himself of every Opportunity of showing His Goodwill, and of affording to those Chiefs such Support and Protection as may be consistent with a due Regard to the just Rights of others, and to the Interests of His Majesty’s Subjects. (GBPP, 1837-38, (680), p.159). Normanby told Hobson in 1839 that the British government 'acknowledge New Zealand as a sovereign and independent state' (though he qualified that with reference to the tribal nature of its political structures). It was in part this prior acknowledgement that led the British to seek a cession of sovereignty in 1840. Particular efforts were later made to secure the signatures to the Treaty of Waitangi of those who had earlier signed He Whakaputanga. Te Wherowhero, though approached more than once to sign the Treaty, refused. Te Hapuku of Hawke's Bay (another of those to sign the Declaration) did sign the Treaty. These are matters that have been well traversed by historians in recent decades. Indeed, as the Tribunal notes in its report, its findings are hardly controversial but reflect a wider historical consensus. The fact that it is not a unanimous consensus does not change the fact that many historians would have no difficulty with the Tribunal's findings. (By way of disclosure, I gave expert evidence in the Stage One hearings, though not directly relating to He Whakaputanga or the Treaty. My evidence concerned the wider context of early contact and encounter between Maori and Pakeha in the north of New Zealand). The History Programme is pleased to host Professor Antony Hopkins, who will speak on his forthcoming study American Empire: An Alternative History. American Empire: An Alternative History seeks to rethink the United States and empire in an international setting, using the UK as the prime comparator. Conventional wisdom suggests that ‘empire’ applies to the United States before 1783 and after 1945. Professor Hopkins suggests, instead, that the decades between require reconsideration. While in 1783 the USA achieved formal independence, what followed was a long struggle to secure real sovereignty, during which the US remained heavily dependent on the UK. The conventional narrative of the pioneering nation and its progress towards liberty and democracy can be seen instead as an increasingly fraught search for development and viability. In this understanding, the US is the first major decolonised state and, as such, the forerunner of many others that were to follow. The experiment in nation-building failed in 1861, and the new endeavour after 1865 sought to shape a new union. The effort succeeded: 1898 was an expression and celebration of unity achieved that also won the US recognition as a world power. Although 1898 delivered an overseas territorial empire, the history of that empire has been almost totally neglected. Reconstructing the history of the 'real' US Empire provides a test of US exceptionalism, enables the US experience to be compared to that of the other territorial empires, and presents unused precedents for present-day commentators to refer to when they advise policy-makers about the 'lessons of history.' This empire ended in the 1950s, when the European empires also came to an end. What followed was not an American 'empire' but an attempt to create US hegemony in greatly changed circumstances. The attempt was of relatively short duration and of limited success. Professor A. G. Hopkins is a world-renowned economic historian of the British Empire and Africa, as well as a pioneer in the history of globalisation and global history. He is Emeritus Professor at Pembroke College Cambridge, and was previously the Walter Prescott Webb Professor of History and Ideas at the University of Texas in Austin and the Smuts Professor of Commonwealth History at the University of Cambridge. Perhaps the best-known of his works is British Imperialism 1688-2000 (with P.J. Cain). He has also published extensively on globalization and world history. 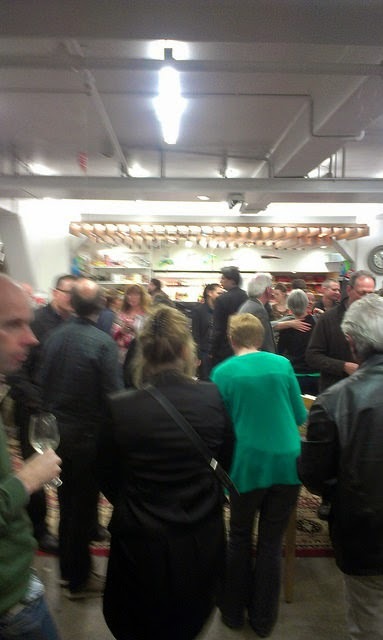 Thanks to all those who attended the launch last night. It was a great occasion. Here are a few photos of the evening. 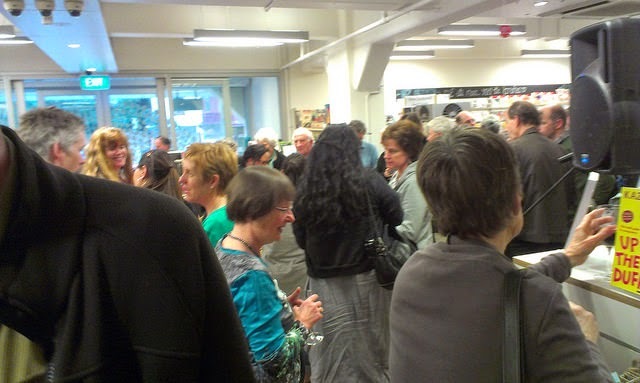 5.30 pm, Vic Books, 1 Kelburn Parade, Wellington. The launch will follow Vincent's JD Stout Lecture: The Waikato War: Myth, History and the ‘Art of Forgetting’, 4.10 p.m., Wednesday 24 September, McLaurin Lecture Theatre 103. Kirsty Gunn and Martin Edmond discussing their BWB Texts with Tom Rennie. 5.30pm, Auckland Central City Library. Kirsty Gunn's lunchtime walking tour of Thorndon. Starting at the Randell Cottage at 12.30pm, the tour winds its way across Thorndon to the Katherine Mansfield Birthplace. 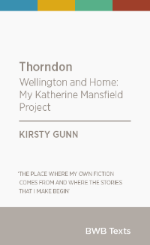 In the evening, Kirsty Gunn discusses Thorndon with Charles Ferrall and Anna Jackson. 5.30pm, Tiakiwai Conference Centre, National Library of New Zealand. Kirsty Gunn and Martin Edmond, in conversation with Tom Rennie. 1.30pm – Kirsty Gunn: Where is Home? A panel, chaired by Bernard Hickey, discussing Thomas Piketty’s Capital in the Twenty-First Century and its relevance for New Zealand. 5.30pm, Royal Society of New Zealand - more details to come in our next newsletter. All of the events (excluding Aspiring Conversations) are free, open to the public and don't require an RSVP - please join us! 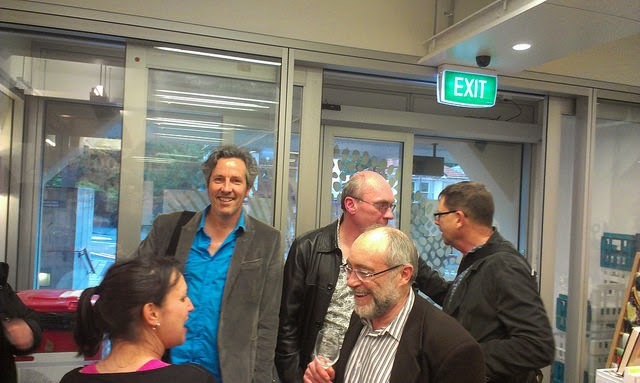 For more information on all BWB books, e-books and events, see www.bwb.co.nz or contact us at info@bwb.co.nz. At a time of great focus on World War One, a new book by prominent historian Dr Vincent O’Malley draws startling comparisons with the Waikato War of 1863–64. Taking a new approach to analysing evidence on the war, O’Malley’s book challenges previous assumptions made about casualties suffered by the Waikato tribes. 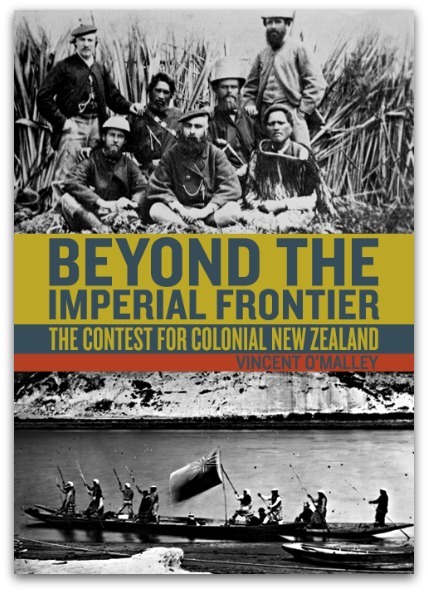 O’Malley’s essay on the Waikato War is one of thirteen featured in Beyond the Imperial Frontier, published by Bridget Williams Books, which reflect on early encounters between Māori and Pākehā, giving an insight into the different ways the two ‘fronted’ one another across the nineteenth century. 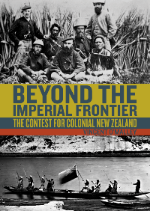 Beyond the Imperial Frontier: The Contest for Colonial New Zealand will be launched by Bridget Williams Books on 24 September 2014 at Victoria University. 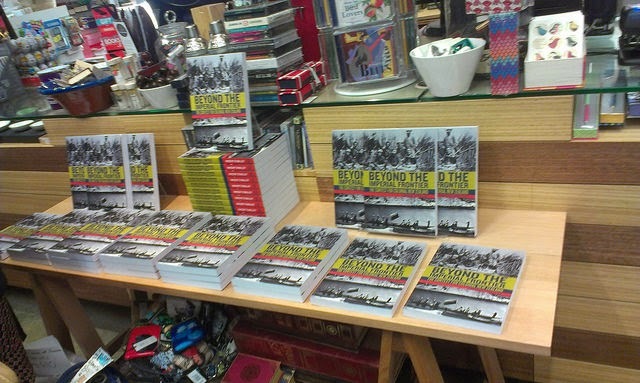 Prior to the launch Dr O’Malley will deliver a lecture on ‘The Waikato War: Myth, History and the “Art of Forgetting”’. O’Malley is continuing his research into the Waikato War and this will result in a major new publication with Bridget Williams Books in 2015.